We don’t just build structures to fit the way you want to live, we build structures that support the big moments in your life. 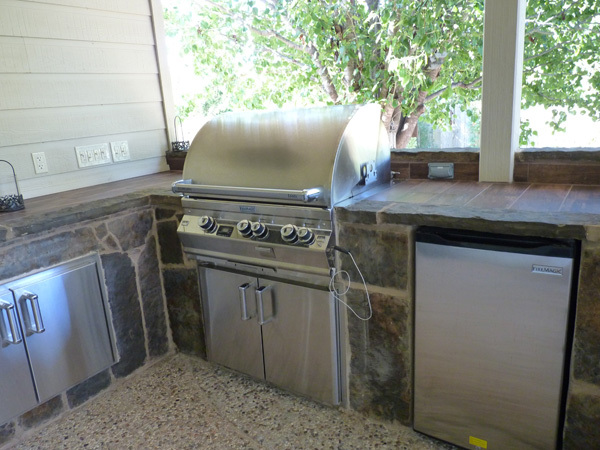 The addition of an outdoor kitchen can make your holiday, or special event hassle free with the convenience of a secondary food preparation area. When you think about what motivates homeowners to make the decision to add an outdoor living area to their home and backyard, in many cases the motivating factor that drives them to act upon their decision is a holiday, party or event they have planned for the near future. Let’s say for instance with the holiday season just around the corner, a homeowner may decide to go ahead and add on that new deck, covered porch, or outdoor fireplace with a custom stone patio surround in anticipation of family and friends that are planning to visit and having the structure up and running will create a great place to relax and spend time with family and friends within a unique outdoor setting to make new memories together. It’s almost as though you have the indulgence of an extra “family room” with a unique outdoor setting. Could you imagine having an outdoor kitchen incorporated into your deck or patio that could serve as a secondary food preparation area on Thanksgiving? The hubby can fry the turkey in the outdoor kitchen, and be out of the way, while the lady of the house prepares all the sumptuous side dishes in the house. Having the function of an outdoor kitchen to take some of the stress out of the kitchen, especially if you prepare Thanksgiving dinner for a large crowd, can make “Turkey day” run as smooth as a french silk pie. The beauty of our business is when a homeowner approaches us and needs their outdoor endeavor completed within a specific time frame most of the time we are able to accommodate their request. We do absolutely everything we can to accommodate it. We always quote a lead time to begin and give an expected completion date and 90% of the time we meet it with 2 or 3 days. Just this month we had a deck that was needed for a wedding, a restaurant deck for an opening last week, and a cabana finished for a party. This week we engaged on a job for a Christmas party mid December. 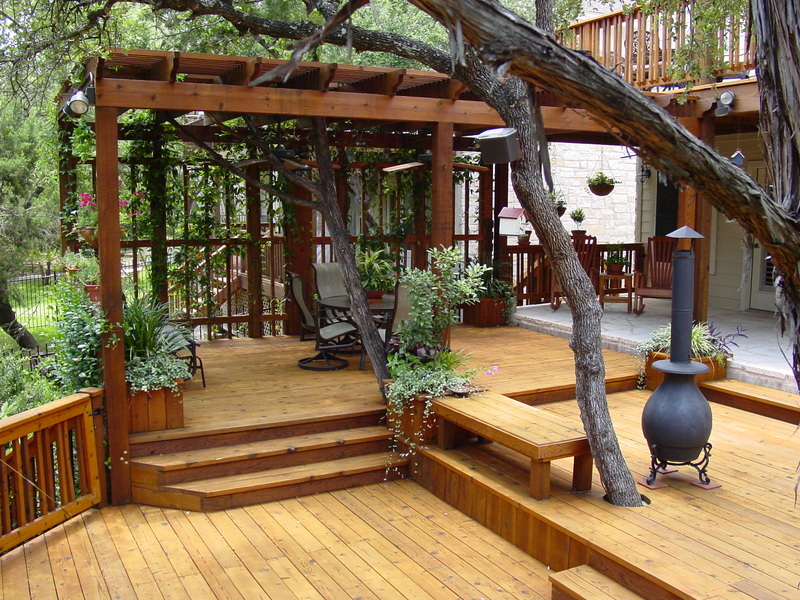 In most cases, if you need it, Archadeck of Austin can have it ready for you within the time frame you need it. This cabana style patio cover makes the perfect spot for entertaining with an outdoor fireplace, and outdoor kitchen built right in. Many outdoor structure builders hesitate to make these kind of promises to homeowners because they lack the project management that is necessary to make sure every aspect of your outdoor structure is run in a professional, timely manner. We make certain on all of our jobs that each specific layer of the building process is set up in the order it needs to be accomplished to avoid delays, and have wiggle room if a problem arises. The keys to being able to deliver what we promise are superior project management, frequent and effective communication with the homeowner, a solid design, and good weather. To see more awe-inspiring images of decks that are perfect for your next big outdoor event visit our deck photo gallery located on our website. You can also see more of our delicious outdoor kitchen designs be visiting our outdoor kitchen photo gallery also located on our website as well. This entry was posted on November 2, 2011 by austinporchandpatio. 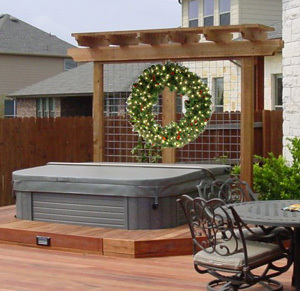 It was filed under Austin decks, Austin outdoor kitchen, Austin patio cover, Composite decks, Covered patio Austin, Covered Patios, Decks, Detached patio covers, Flagstone Patios, Flagstone Patios, Freestanding covered patios, Hardwood Decks, Multi-level decks, Outdoor fire place, Outdoor Kitchens, Patios, Pressure treated decks, Project managers, Re-decking, The value of a design consultant, What makes for a good contractor? and was tagged with Adding your Austin TX outdoor structure in time for a special event, Archadeck of Austin, Austin covered patio, Austin covered patio deck, Austin deck builder, Austin decks, Austin flagstone patio, Austin outdoor fire place, Austin outdoor kitchen, Austin outdoor room, Austin patio builder, Custom design rendering, Customer service, decks Austin, flagstone outdoor fireplace, Outdoor kitchens Austin TX, Outdoor structure event planning Austin TX, Project managers, Project planning, Superb project management of outdoor structure construction Austin TX, The importance of good project management.